Friday, December 9, 2016 at 7:30 p.m.
Saturday, December 10, 2016 at 7:30 p.m.
Our Annual Silent Auction fundraiser will precede both concerts at 6:45. 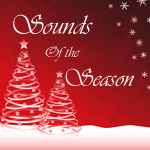 Holiday classics featuring singers such as Bing Crosby, Frank Sinatra, and Dean Martin. And, of course, our annual performance of Sleigh Ride, conducted by a member of our audience.